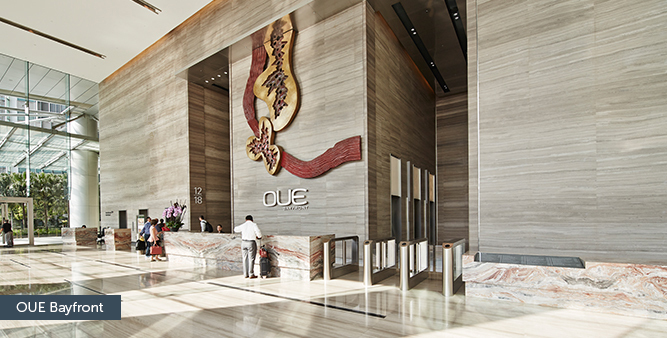 OUE is the sponsor of OUE Hospitality Trust and OUE Commercial Real Estate Investment Trust, established for the purpose of investing in income-producing hospitality and hospitality-related real estate, and commercial assets in financial and business hubs. 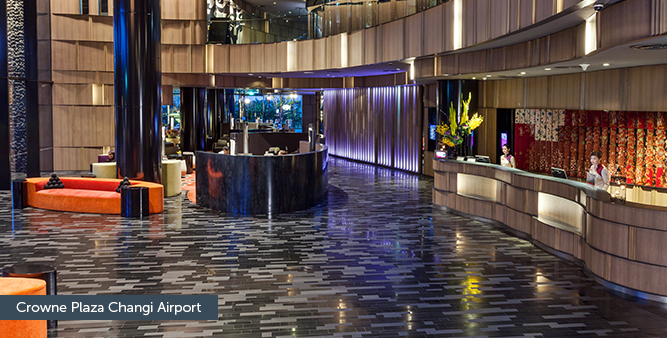 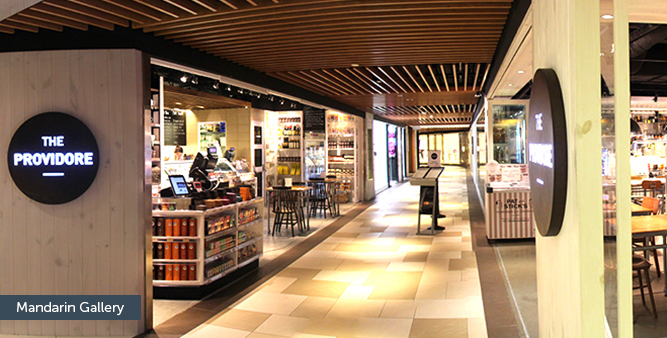 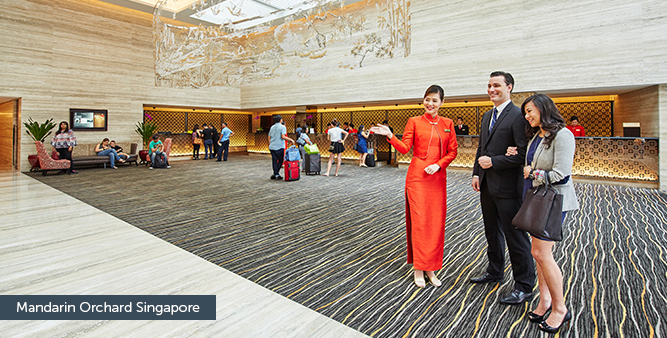 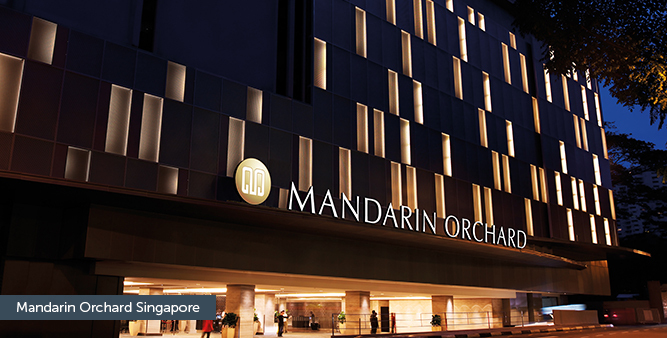 OUE Hospitality Trust (OUE H-TRUST) is a stapled group comprising OUE Hospitality Real Estate Investment Trust (OUE H-REIT) and OUE Hospitality Business Trust (OUE H-BT). 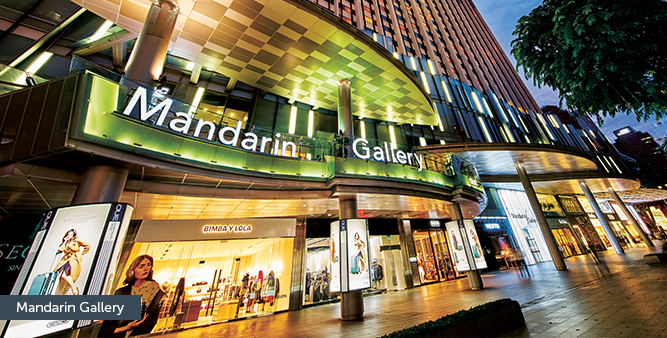 as a whole or as part of larger mixed-use developments, which may include commercial, entertainment, retail and leisure facilities. 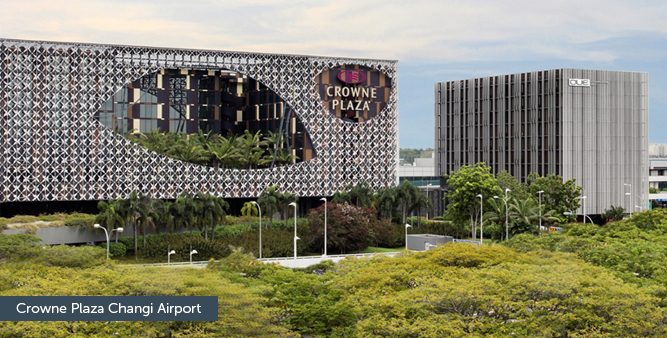 Properties which are used for “hospitality-related purposes” include retail and/or commercial assets which are either complementary to or adjoining hospitality assets which are owned by OUE H-REIT or which OUE H-REIT has committed to buy. 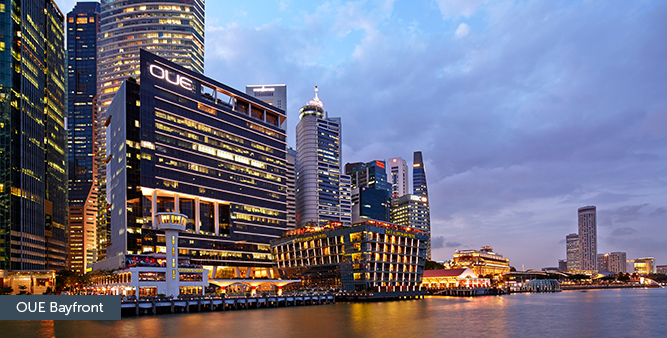 As at the Listing Date, OUE H-BT, a Singapore-based business trust, will be dormant. 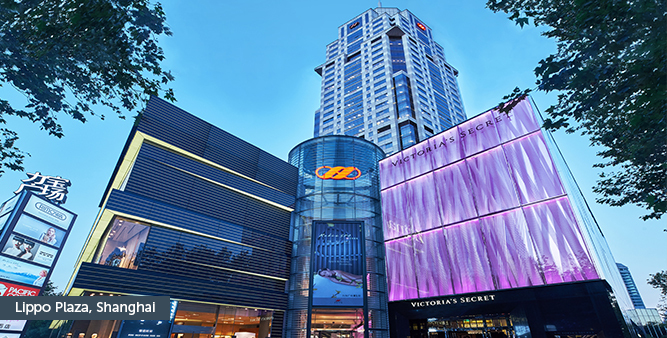 OUE H-TRUST’s asset portfolio comprises two hotels – the 1,077-room Mandarin Orchard Singapore and the 563-room Crowne Plaza Changi Airport – and Mandarin Gallery, a high-end retail mall. 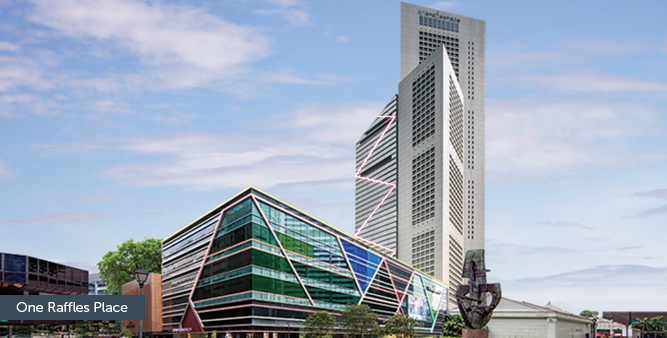 OUE Commercial Real Estate Investment Trust (OUE C-REIT) is a Singapore REIT established with the principal investment strategy of investing, directly or indirectly, in a portfolio of income-producing real estate used primarily for commercial purposes (including real estate used primarily for office and/or retail purposes) in financial and business hubs within and outside of Singapore, as well as real estate-related assets. 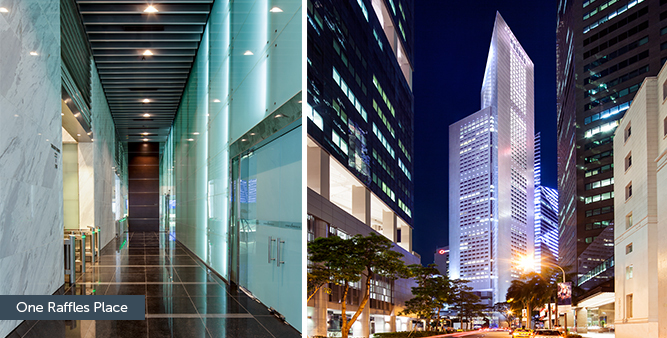 OUE C-REIT’s asset portfolio comprises the OUE Bayfront Property, the One Raffles Place Property and the Lippo Plaza Property. 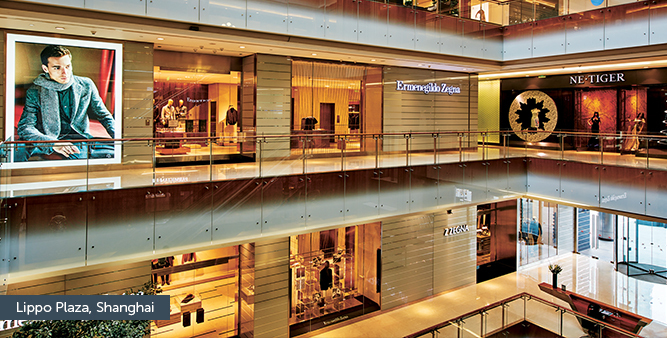 They are strategically located in the prime commercial districts of Singapore and Shanghai.